Who Are Community College Students? If we want to expand opportunity, grow our economy and strengthen our communities, we cannot afford to ignore the potential of the nation’s community college students as advocates for change. The RFF Spark Initiative helps transform our communities by building the leadership, power and voice of community college students. 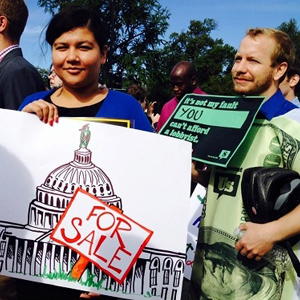 From establishing a landmark resource center for undocumented students to affecting the budget of the 6th largest economy in the world, our grantees exemplify what can happen when we tap into the potential of these promising young people. Thanks to these young and diverse leaders, California’s community college system is using a revamped standardized placement test. The state has $60 million in its budget to assist community colleges improve remedial placement testing and classes. And up to 58,000 students can use food stamps to buy food on any community college campus in the state. These wins demonstrate what happens when community college students define solutions to the challenges they face, and this is why RFF continues to invest in these bold and promising leaders. We work with community college students, nonprofit advocates, and the philanthropic community to share our learning and increase the resources invested in igniting civic engagement among community college students. Contact us at info@rappaportfamilyfoundation.org for more information. Yvonne Montoya often went hungry as a community college student. Although she qualified for food stamps, the Los Angeles County school she attended, Cerritos College, did not have any on-campus locations that accepted food stamps. Knowing first-hand what it was like to go hungry while trying to be a student, when Montoya transferred to Santa Monica College (SMC), she helped spark one of Roosevelt’s most important student initiatives. As president of the Roosevelt Institute’s SMC chapter, Montoya led a movement to push for students to be able to use an EBT card to buy food from vendors in the campus cafeteria. According to information provided by SMC Financial Aid at the time, there were about 475 students who could benefit from this service at SMC alone. Montoya’s chapter was able to convince not only their college, but colleges throughout California to accept EBT cards to buy food on campus, potentially impacting nearly 58,000 students. “Without an existing infrastructure to empower community college students, guidance of the Rappaport Family Foundation has been invaluable,” said Gamble. With a grant from the RFF Spark Initiative, Roosevelt expanded its program from four-year institutions to community college campuses in 2012. The network started with a pilot program on four community college campuses, and now has chapters on over 100 campuses around the country. Emily Kinner, an environmentally conscious community college student and avid bus-rider, noticed how cost of transportation was one hurdle for students to overcome en route to academic achievement. Kinner and other community college students successfully negotiated an Eco Pass with local transportation authorities in Cupertino, Calif. 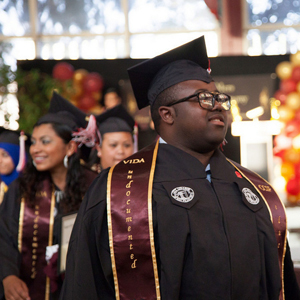 The move helped to decrease transportation costs to just $5 per student per academic quarter versus the normal $70, making a difference in the lives of 25,000 De Anza students. It also had a positive environmental impact on the surrounding area. 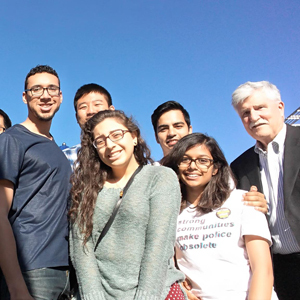 This initiative is just one of many student-led efforts at De Anza College made possible by the Vasconcellos Institute for Democracy in Action (VIDA), a hub where community college student leaders of all backgrounds come together to organize projects for community transformation and policy change. VIDA is based on the belief that no one knows more about the needs of a community than the students who live there. VIDA is named after longtime legislator John Vasconcellos, who championed public education and student involvement in the democratic process. Since its inception in 2006, VIDA works with a select group of leaders every year. Grant support from the RFF’s Spark Initiative has allowed the program to grow the number of paid student interns, topping at 10 in 2015. VIDA interns have gone off to four-year universities and now work in San Jose in youth development, at social justice nonprofits, or as community organizers. Another example of the impact of VIDA interns is HEFAS, an institutional and educational program on De Anza campus launched by Sheila Ramos, Ana Ruth Hernandez, Cristal Lopez, and Angelica Esquivel. The program provides free resources, reduces financial stress, and creates a safe learning environment for undocumented AB 540 students. AB 540 allows undocumented students or non-California residents to qualify for in-state tuition. Each year, about 65,000 undocumented students graduate from high schools across the U.S., with more than 25,000 graduating in California alone. Only 5–10 percent of undocumented high school graduates pursue higher education at two-year community colleges and four-year universities. HEFAS hopes to increase those numbers by advocating for better access to financial aid, and by going to high schools to let undocumented students know that college is an option. In 2009, frustrated by increasing budget cuts and overcrowded classes, a group of students at City College of San Francisco decided to informally organize. A year later, they officially named themselves Students Making a Change, or SMAC, becoming the first community college student organizing program at CCSF. 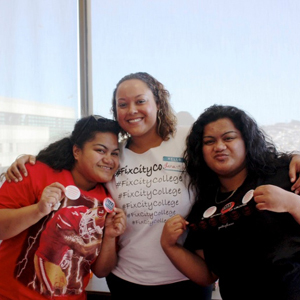 SMAC is working to win policies to close the achievement gap at City College of San Francisco (CCSF), promote civic engagement in underrepresented student populations, and develop committed life-long community leaders. Partnering with Coleman Advocates for Children and Youth, and with support of an RFF Spark grant, the students were able to kickstart their organization and receive training on how to become student leaders. SMAC’s advocacy has been central to many education equity policy reforms on campus, including English and Math accelerated course implementation, priority registration for San Francisco Unified School District graduates, improvements to financial aid counseling and application processes and dramatically expanded resources for civic-engagement work-study positions. Among SMAC’s biggest victories to date is overhauling California’s standardized placement test. SMAC students initiated a campaign to show that the placement test was antiquated and should be revised. Where students previously had to wait six months to retake the test, they were now able to retake the test within two weeks, making their path to graduation easier. SMAC also was able to get CCSF’s research office to release a de-aggregated report on graduation rates. For Leuma, the fight was personal. 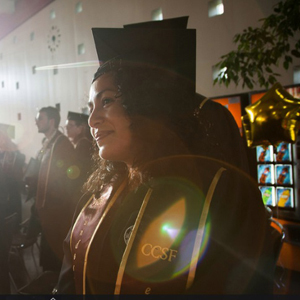 An American Samoan native, it took her six years to get through City College. The numbers for Pacific Islanders overall were just as dismal, she would find. 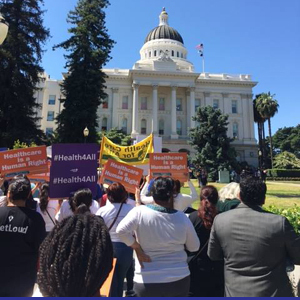 Among other achievements, SMAC’s advocacy also helped in securing priority registration for San Francisco Unified School District graduates, created a Filipino Retention Program and established a landmark Resource Center for AB540 (undocumented) immigrant students. “Time and time again, we see a lot of assumptions being made about what this generation needs, but don’t see any young people at the table,” says Jen Mishory, executive director of Y.I. In 2014, community college students involved with Young Invincibles’ Student Impact Project won a big victory – an increase in the Cal Grant B, a financial aid award for low-income students. Armed with tools and resources, community college students took to the media to advocate for state policies that support college access and affordability. 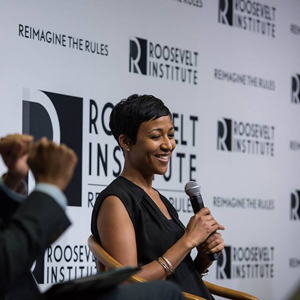 Headquartered in Washington D.C., Young Invincibles works to ensure that young people’s voices are part of state and federal policy conversations. Community college students have plenty to say about healthcare, student debt, their education, and other policy issues – and Y.I. wants to give a voice to these underrepresented students. Y.I. got its start in the summer of 2009. 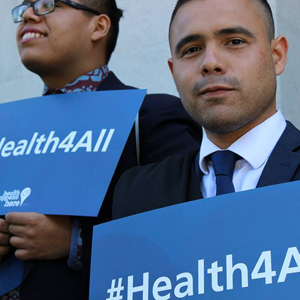 Recognizing that young people’s perspectives were not being included in the debate over healthcare reform, it launched its Y.I. Want Change campaign and formed a national coalition of over 20 organizations representing over one million young Americans across the country. In a little more than a year, Y.I. grew from a group run out of a law school cafeteria to a national organization representing the interests of 18- to 34-year-olds nationwide. A thread through all of Y.I.’s work is building robust research and connecting it to issues on the ground. With support of RFF’s Spark Initiative, Y.I. was able to visit California community college students during their National Bus Tour in 2012. The tour spanned 20 states, 42 cities, 43 campuses and over 100 roundtables, events, visits, and meetings with 16-34 year olds from all backgrounds and walks of life. The tour leaders later reported its findings back to policy- and decision-makers in Washington, D.C.
Students involved in Y.I. are trained to understand the political process and gather the information they need in order to become advocates. For community college students, a key aspect is understanding how state policies fund higher education, and how those policies could impact them more than others. In 2015, Tajeen Hasan and Hamdee Khader, both students at Wake Technical Community College in North Carolina’s capital, learned about some alarming statistics: Less than three percent of Muslim immigrants nationwide turned out to vote. To address this issue, Hasan and Khader collaborated with local organizations to mobilize Muslims to vote in the local elections that autumn. 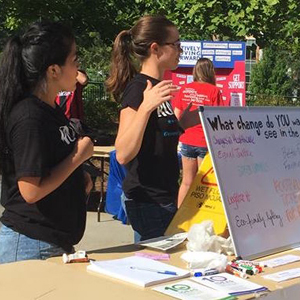 They conducted several voter registration drives around campuses and in the community, sharing their research about Muslims’ voter turnout history in the U.S. and raising awareness of the importance of voting. At the first voter workshop at a Muslim Student Association, 70 people registered to vote. It was so successful, voter workshops are now planned annual events. Hasan and Khader are part of a community college fellowship program launched by Young People For (YP4), a program of People For the American Way Foundation, with support from Rappaport Family Foundation’s Spark Initiative. YP4 is a long-term leadership development initiative that works to identify, empower, and engage the newest generation of progressive leaders. Realizing community college students’ great yet untapped potential as proponents for positive social change, in 2015, YP4 started North Carolina’s first community college fellowship program with support from RFF’s Spark Initiative. 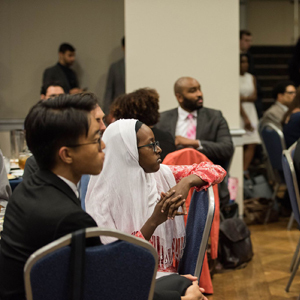 In the program, a diverse group of community college students–six fellows in the inaugural class, and eight fellows in the second cohort–work on different progressive issues on campuses and in communities. Starting with a regional training at the beginning of the fellowship year, fellows are encouraged to conduct a “community scan,” which helps them understand the issues facing the communities they aim to serve. This strategy results in the “Blueprint for Social Justice,” a community-based, sustainable project created by each fellow to address a need in his or her local area. With proven results in North Carolina, YP4 now aims to bring the community college fellowship program nationwide. In July 1964, race riots broke out over three days in Rochester, New York, ending in one death and the arrests of nearly 1,000 residents. During the 50th anniversary of the riots, Professor Verdis Monroe, then tenured assistant history professor at Monroe Community College in Rochester, New York, and several of his students created a walking tour of the Joseph Avenue neighborhood, where the riots started. The students led more than 130 area residents on four tours, following in the footsteps of rioters and taking participants to eight stops along Joseph Avenue, where the riots began. The purpose of tours was to show how the Joseph Avenue neighborhood has changed in the ensuing years, explore the effects of racism, and engage the community in improving the neighborhood. In addition, the students also created a guidebook that people could use for self-guided tours. Community college students are the social capital of their communities, and more students need to be actively involved in local activism to fuel social change. 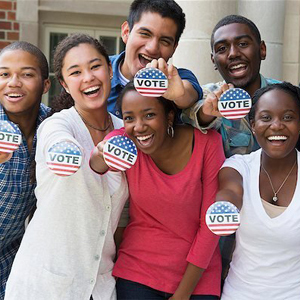 The Democracy Commitment, is a national initiative providing a platform for the development and expansion of community college programs, projects, and curricula, aimed at engaging students in civic learning and democratic commitment. The goal of the TDC is that every student of an American community college– whether he or she aims to transfer to university, achieve an associate degree or obtain a certificate–graduates with an education in democracy. TDC currently has 80 community college presidents pledged to this commitment. In practice, this can take many shapes and forms. In 2012, at Delta College in Bay City, Michigan, students built the “Democracy in Motion Wall,” a physical space for students to engage in discussion of current political events in a constructive way. Students wrote down their thoughts and responses to questions, written on the wall, that focused on national or campus-wide issues. “This way of bringing democracy to the campus allows everyone the ability to speak up and read what their peers have to say,” Professor Verdis said. A grant from the RFF Spark grant was instrumental in giving TDC its start. Looking ahead, TDC is excited to extend its program onto more colleges and into states where it currently does not have a presence.